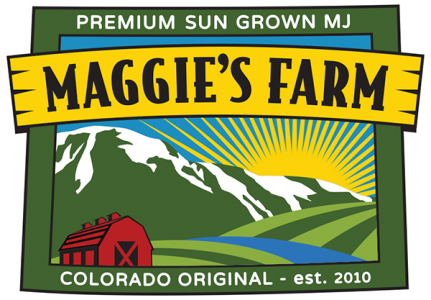 Maggie’s Farm is the leading outdoor grown, medical and recreational marijuana centers in Colorado. We provide our patients with the best medicine available. All of our products are sun-grown from seed, in 100% custom-mixed on-site soil, spring-watered, slow-cured and hand trimmed. We do NOT use ANY pesticides OR growth hormones. We also have been Clean Green Certified for the past 2 years, which is certification of organic standards and testing that mirrors the USDA organic certification. Maggie’s Farm’s Colorado Springs locations were voted #1 and #2 in the Independent’s 2013 Best of Awards. In 2014 and 2015 Maggie’s Farm won First Place/Gold in the Independent’s Best Of Award for both North and South Colorado Springs. In 2014, and 2015 Maggie’s Farm was voted Best of the Gazette 1st place winner. We offer the very best medicinal and recreational marijuana to our patients. Please come visit any of our 7 Maggie’s Farm locations where our friendly and knowledgeable staff will help you find just the right strains to best meet your marijuana expectations. Located at Hwy 24 and Manitou Avenue. Sun-grown from seed, in 100% custom-mixed on-site soil, spring-watered, slow-cured and hand trimmed. We do NOT use ANY pesticides OR growth hormones. Open 8:am til 7:00pm 7 days a week.